Most of this section and Cycle 3 is aimed at the cancer victims/families as a guideline to what goes on. General readers may not have much interest in these sections as I will only partly touch on personal feelings and emotions. As I have said from the beginning the range of medical input here is so high it requires to hospital teams from two different Cities.If I resided in Dublin then only one would be involved. So basically I have been through 2 Cycles (6 day) of Ice Chemotherapy and in 48 hours will commence Cycle 3. I have completed my 9th P.E.T Scan with good results. All of this has been done in Cork – ICE Chemo in Bon Secours and PET in CUH. 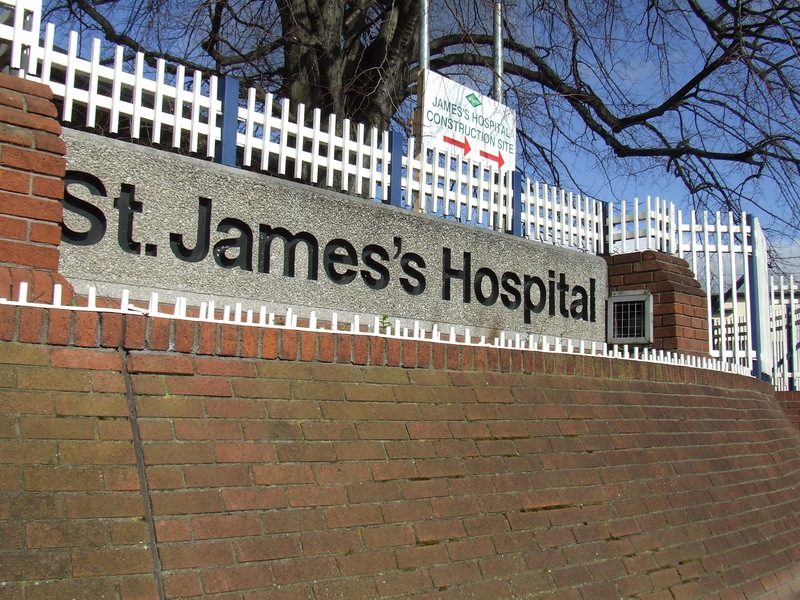 Now I have to meet with the Transplant team in St James Dublin. Firstly the PET was considered by them to be excellent, they called it PET negative. It is a clear sign that Chemo is working. They want the next cycle stalled by a day. Roughly 10 days from the end of this Cycle they will attempt a Stem Cell harvest 6th of June (the 5th is a bank holiday in Ireland so the scientists who determine if your ready for the harvest will not be available, hence the stall by a day). I will have my blood tested at 8am and if good then they will commence with harvest. A twin line will be connected to my jugular to a special machine that will separate the stem cells from my blood and basically bag them for freezing. Stem cells are not naturally in your blood they are a product produced by bone marrow. The ICE chemotherapy is used to stop stop the production of stem cell but also to kill cancer cells however the 8 days I have to self inject Neupogen GSF – these injections stimulate new stem cell production at an accelerated rate, this is the trick, basically ICE stops it and then suddenly the bone marrow is hit with a stimulant that forces bone marrow to produce a substantial amount of stem cells so much that the bone marrow pushes the new stem cells out of the marrow into the blood stream and that is when they harvest. But the window of opportunity is tiny so they must get the stem stem cells on the 6th or 7th, failing this would lead to further ICE chemotherapy. But we don’t talk above failure EVER they will get them on the day and that is without question. The procedure takes about 8 hours from start to finish all going well. Once successfully extracted the scientists will then check the number of stem cell which are millions as against thousands. The stem cells are checked for any viruses or contamination, if all is good they are frozen at -190 in nitrogen freezers till needed. So all sounds good and easy enough. Till the next step. They can’t confirm a date till after the harvest but within 4 weeks following the harvest I will be admitted to St James. This will be for a very aggressive form of chemotherapy called BEAM the idea of BEAM is to wipe out cancer cells, bone marrow, and the ability for my body to regenerate cells. Basically your colon, mouth, gastric track regenerates itself constantly, this is seen by BEAM as possible treat and attacks these cells killing them. BEAM like most Chemotherapy not only kills cancer cells but kills good cells. After 5 days they will stop giving me BEAM and 2 days later my harvested stem cells will be thawed out and given back to me. All sounds good but here come the but. Or maybe the horror story. Anyway I them meet with my Transplant Doctor. A really nice guy but not sure if I’ll think that during the BEAM… he went through everything again, felt that I was genuinely strong both physically & mentally – we completed consent forms . He then gave me a physical examination and felt I was in good shape. The extra walking and cutting lawns has paid off. The Transplant doctor advised that he was contacting the Bon to make sure that the ICE was delayed by a day and that was it. 2 hours briefing and we left with a lot to think about.